ULTRA FIT, ULTRA COMFORT & ULTRA PROTECTION are the distinguishing characteristics of the UltraTech® series. UltraTech® provides outstanding fit and function for a glove you will want to wear! 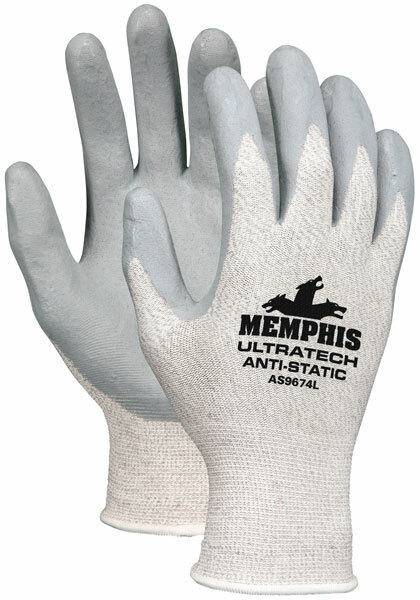 The AS9674 features a 15 gauge white machine knitted silver/nylon anti-static shell that is coated on the palm and fingers with a gray nitrile foam.